Jennifer Morrison who plays Emma on the hit television series called “Once Upon a Time” chatted with TV Guide. Morrison gave us a little sneak peak at what to expect for the final episodes of season three. Before you continue reading, be aware there are MAJOR SPOILERS ahead. With that said, are you ready to learn what will happen from Emma Swan’s point of view? The interview started by asking about Emma’s position on the show. We have always seen her as the hero, but she switched into a more domestic role. Morrison explained that Emma is a little softer around the edges now. For as long as she could remember, she has been raising Henry in New York. They live a normal life eating breakfast together and playing video games. They have never experienced fighting dragons, witches or giants. Another question was how would Emma and Henry be able to reconnect with the rest of the cast. 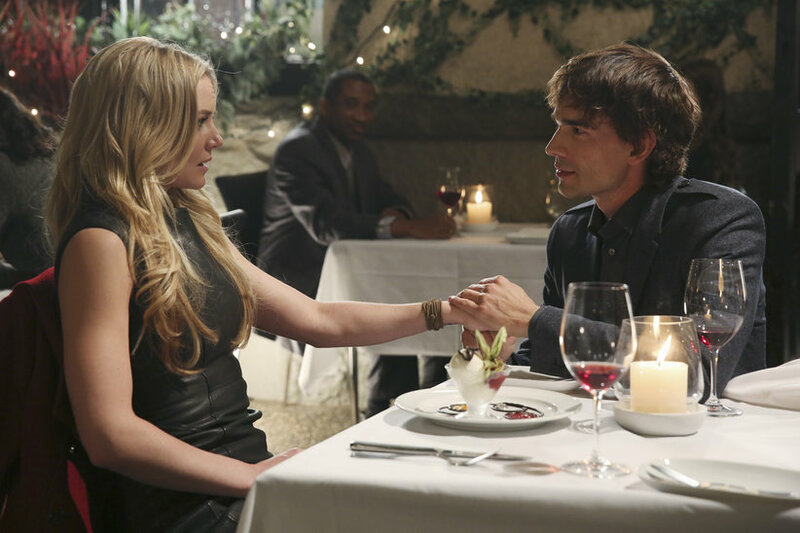 Interesting enough, Morrison told them that Emma will come out of the memory loss spell sooner than Henry. The majority of the second half of the season will consist of tracking down who caused the curse and why. Emma cannot do this if her memory does not come back quick. We know that Rebecca Mader will play the Wicked Witch of the West. This leads us to believe that she was the one who caused the curse. However, the question of why still stands. Morrison responded about Mader and said this this will be the most terrifying villain that “Once Upon a Time” had ever seen. The desires and intentions of the Wicked Witch are unclear. She went on about how the show has started to feel eerie, but in a good way. Who knows where this could go? Another unanswered question from the first half of the season was the love triangle with Emma, Neal (Michael Raymond-James) and Hook (Colin O’Donoghue). Morrison confirmed that this love fest is on pause. In fact, she met someone in New York whom she is very serious. WHAT?!?! This unknown lover is someone who she sees as a great father figure for Henry. This is how Emma sees this man. Like most the characters, there is more to him than what is on the surface. Regardless, we know that Emma and Neal have a serious connection. They spent a great time of her life with him. On the other hand, Hook has proven himself a changed man. In the end, Morrison did not even remotely give an idea who will capture her heart. Who do you think the unknown lover? What do you expect to happen for the second half of season three? There are so many speculations. Ahh! “Once Upon a Time” will return Sunday, March 9 at 8 p.m. ET.